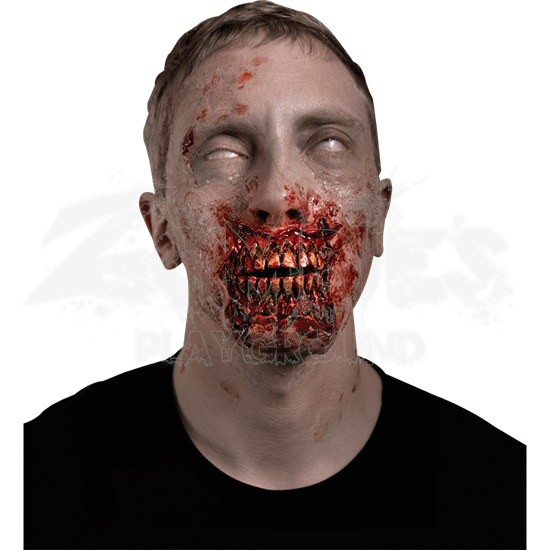 Show off your bloody chompers with the Exposed Zombie Teeth Prosthetic this Halloween! 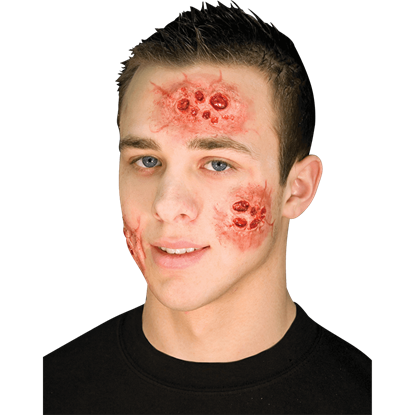 It will add the perfect touch of grotesque horror to your zombie costume and it looks extremely realistic! Have fun scaring people with it! 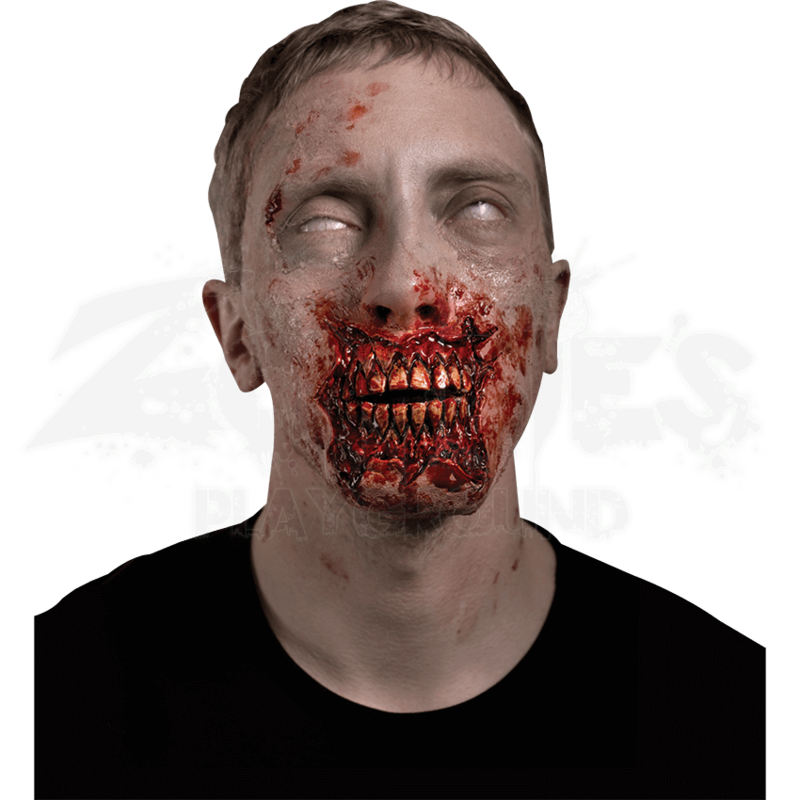 This disturbing piece of zombie special effects makeup is made to make you look like your lips have been eaten, revealing the teeth behind them. 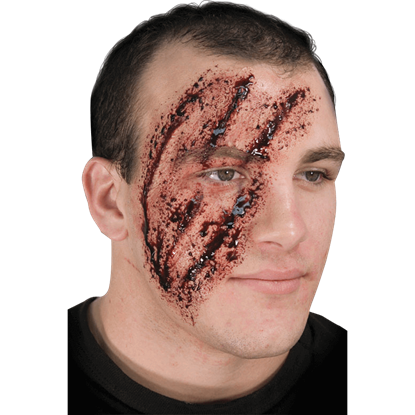 Crafted from high-quality latex, this Halloween application possesses slim edges that allow for more realistic blends, as well as large contact surfaces for a better and longer fit. 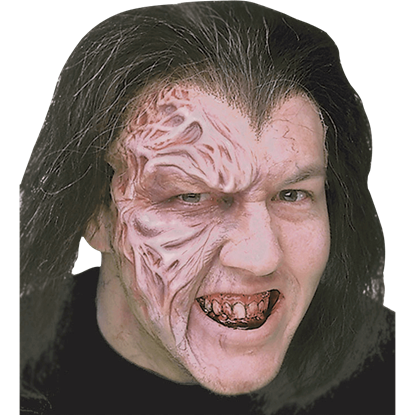 The prosthetic comes unpainted, allowing you to customize your lipless mouth to your pleasure! 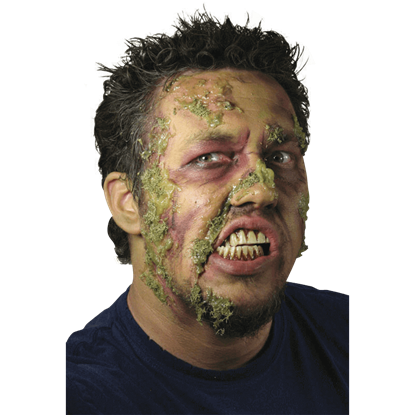 Wander the streets this Halloween, scaring people, or use it in a zombie-themed costume some other time!